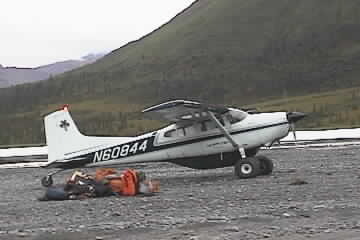 Imagine flying into the remote wilderness of the Alaskan Arctic, landing on an unmarked gravel bar, and then standing alone as your bush pilot flies away, knowing that you will be completely alone in the wilderness for many weeks. The next morning, shoulder your pack and begin your hunt, climbing the mountains and crossing the divides in search of trophy Dall Sheep. Imagine floating quietly in your raft down a remote Alaskan river and rounding a corner to be confronted by a herd of magnificent bull caribou, including several record book candidates. 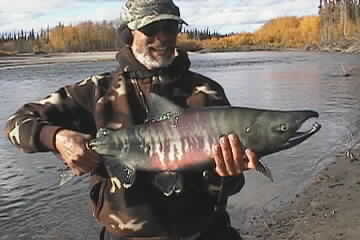 Drift over a smooth run of clear water and scramble for your fishing rod when you see the river is filled with salmon. 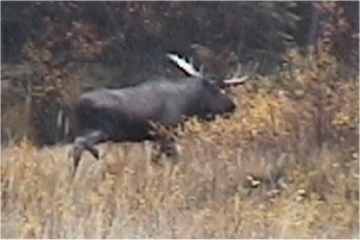 Stalk the giant and powerful Alaskan bull moose. 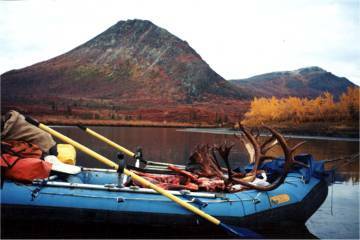 Travel through magnificent fall scenery with a raft full of meat and antlers. 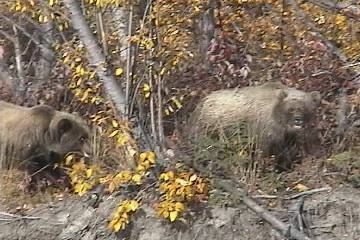 Face angry grizzlies looming so close on the steep bank you can hear them pop their jaws. With this video you can experience this adventure as it happens. 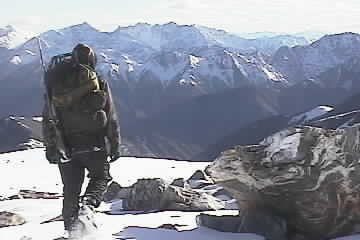 Walk 200 miles during three weeks of mountain hunting without seeing another human being. Then spend three more weeks rafting 500 miles down a string of three (identified) wilderness rivers as you float-hunt for moose and caribou, and fish for arctic grayling, pike, and salmon. The pictures are actual screen captures from the video, but are low resolution for fast loading. Each photo on this page is an actual frame from the video! Click here to see many more great screen shots! Excellent DVD on your 700 mile adventure, from New Zealand. Thank you Alan! New Zealand has it’s own beautiful country, doesn’t it?